While still working on the Mission Critical Projects outlined in the Development Overview, we also found time to deploy the minor update 1.10.2. In addition to a new anti-cheat system and vehicle paint jobs the update contains hotfixes to address feedback provided by the community. We hope you all appreciate our efforts to address your feedback, please keep it coming! 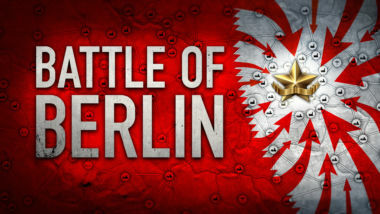 A new Anti-Cheat system, BattlEye, is now implemented to make Heroes & Generals fun and fair for everyone and provide an effective shield against cheats and hacks. Licensing a well proven anti-cheat system like BattlEye frees up development resources that we can put towards improving and developing the game, benefitting you the players. If you want to know more about BattlEye, have a look at this blog post. It is no fun to place mines around a capture zone just to have friendly players shoot them to pieces – be it on purpose or by accident. Taking community suggestions into consideration our solution to this issue is to add a -10 XP penalty if you destroy a friendly mine. So you might want to start paying attention to those red danger indicators showing you where friendly mines are placed. 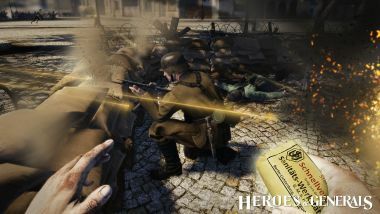 We get a lot of valuable feedback from the community about the complex issue of balancing the weapons in Heroes & Generals, and based on this we have made a few adjustments. The damage at range have been slightly increased for both the PPD-40 and PPSH-41, we also decreased the PPD-40 cone fire from 0.81° to 0,7° and the PPSH-41 cone fire from 0,78° to 0,7° – all of it to better align them with other submachine guns. 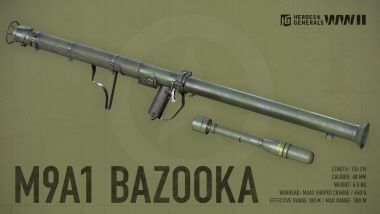 Players have also asked for the PTRD anti-tank rifle to be a bit more precise. To achieve this we lowered the cone fire from 1.2° to 0.8°. 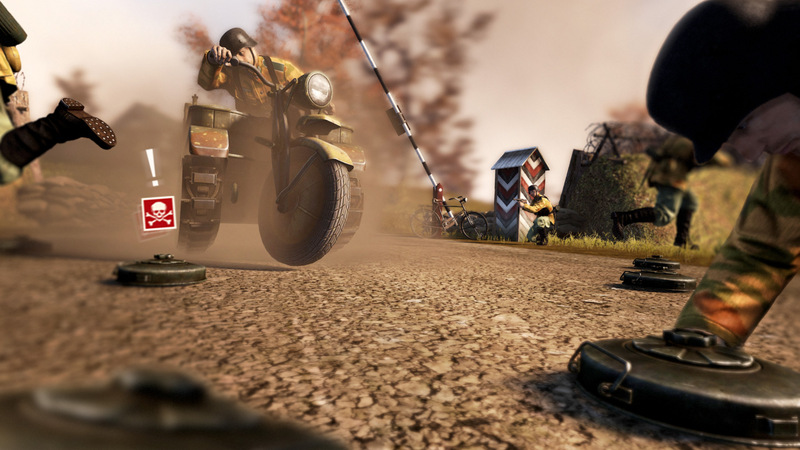 Community reported that some players exploited switching from a binocular to a weapon without aim being affected – in essence using binoculars as a makeshift scope. To counter this exploit we have added a very slight hand movement effect when you switch from binocular to weapon. The movement is random and so slight that you won’t lose your orientation at all, but just enough for you to have to steady your aim again. With the 1.10.2 update we are adding another batch of vehicle paint jobs for all factions – among these and by popular demand two paint jobs for the classic Soviet Medium Tank T-34-85 Model 1944. 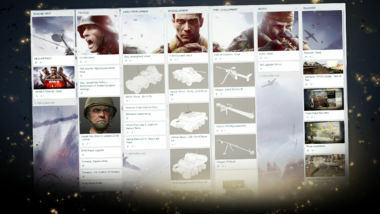 Have a look at all the new vehicle paint jobs in game. And if you want to know more about the different paint jobs, we have this blog post going into more detail. For a full detailed view of the features and changes in the 1.10.2 update please take a look at the changelog.